Following the final meeting of the Working Group in the current parliamentary session, Parliamentarians from Chișinău and Comrat discussed how to continue and strengthen the dialogue process after upcoming elections. Members of the Gagauzia Working Group reflecting on three years of parliamentary dialogue, facilitated by CMI. 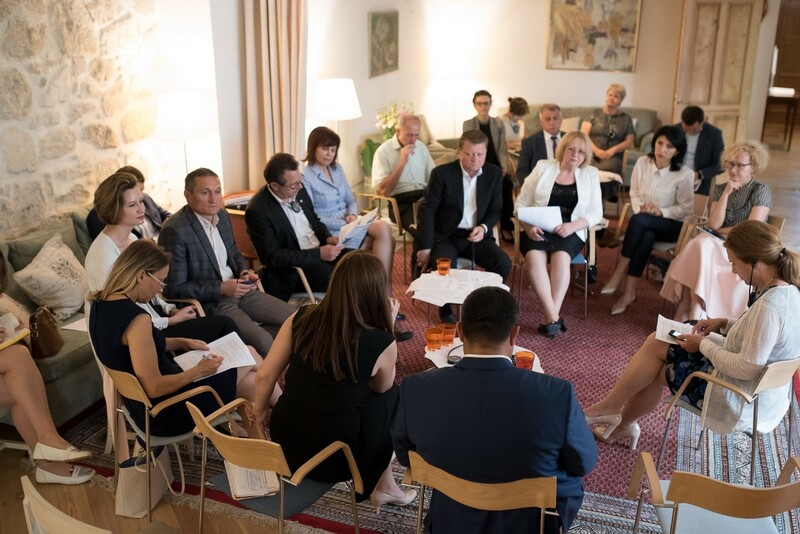 On July 11, 2018, CMI facilitated a discussion between members of the Gagauzia Working Group and CMI experts, to reflect on the achievements and challenges emerging from three years of parliamentary dialogue, and to discuss strategies to ensure the sustainable continuation of the Chișinău-Comrat dialogue process. The event was hosted by the Swedish Embassy in Moldova, and attended by the Chairperson of People’s Assembly, Vladimir Kissa, and the Governor of Gagauzia, Irina Vlah. The discussion was organized as a follow up to the Gagauzia Working Group’s final meeting for the current parliamentary period on July 4th, where the group approved four analytical reports from legal experts working on harmonizing legislation between Chisinau and the autonomy, and proposed amendments to national legislation to better reflect the needs and legal status of Gagauzia. 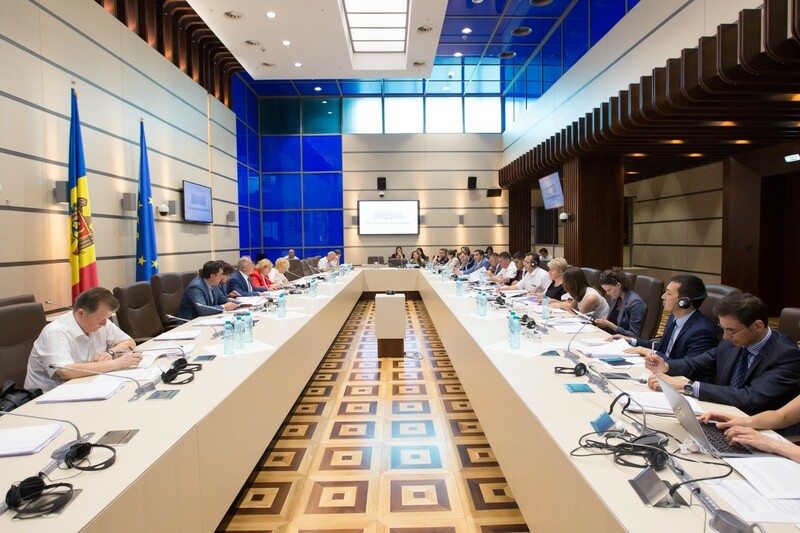 In 2015, CMI, with funding from the Embassy of Sweden, designed a project based on a structured and sustained dialogue process, bringing together equal numbers of legislators from Chișinău and Comrat to improve the functioning of the Gagauzia autonomy. Since then, CMI has provided the resulting dialogue platform, known as the Gagauzia Working Group, with ‘good offices’, capacity building and access to experts. The Working Group has become Moldova’s longest lasting dialogue about Chișinău-Comrat relations, leading to over 40 joint decisions on matters affecting the functioning of the Autonomy, a common vision and roadmap for the future of the process, and recommendations for adjustments to 11 national laws to better reflect the needs and legal status of Gagauzia. The Moldovan Government and the Moldovan Parliament have made a number of decisions drawing on recommendations from the Gagauzia Working Group, including creating the first Gagauzia Development Plan, establishing an Agency for Regional Development in Gagauzia, and passing four laws including revisions proposed by the Group. These decisions demonstrate the ability of the dialogue platform to develop joint, politically acceptable solutions to previously intractable problems. The discussion on July 11th, 2018 provided a space for participants of the process to reflect on the progress made over three years of dialogue, and develop a strategy for future of the process. Members of the Gagauzia Working Group observed that, through dialogue, they have learned how to listen to each other, how to see differing perspectives on the same issue, and how to work together to solve joint problems. The Group unanimously agreed on the importance of continuing the dialogue process at the parliamentary level following upcoming elections, to further improve cooperation between the center and the autonomy and create joint solutions to technical problems. The discussion also highlighted the need to establish a permanent mechanism with a systematic and incremental approach to harmonize legislation and clarify competencies between the center and the autonomy. CMI will continue to provide good offices and access to expertise to the next phase of the dialogue process to support participants’ work towards these goals. The project “Supporting the Efficient Exercise of Gagauzia’s Autonomous Powers within Moldova’s Constitutional Framework” supports the functioning of the Gagauzia Working Group. The project is financed by the Swedish Embassy in the Republic of Moldova, and facilitated by CMI.